The following is a review of the Matrix Assessment Profile available through Optimal Wellness Labs and my experiences with the process. When I learned of the MAP and what it is, I was most interested in taking the assessment and going through the healing protocol to see if it made a difference in my health. Then, if I was impressed, I'd share it with you. After all, identifying the root causes of physical imbalances and dis-ease is a major cornerstone of holistic healing. If there was an easy to use, reasonably priced, at home test we could take to identify those causes and correct them, I wanted to know about it. What is the Matrix Assessment Profile? 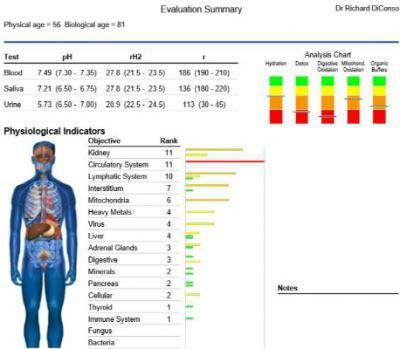 The Matrix Assessment Profile, also called the MAP, is an at home biological test based on proprietary NASA technology. It was originally developed to pinpoint bodily imbalances that were causing symptoms in astronauts in space. The MAP used today was developed by Dr. Richard DiCenso. Urine and saliva samples are analyzed at Optimal Wellness Labs in order to evaluate your biochemistry and identify the root cause of chronic symptoms you haven’t been able to get rid of. 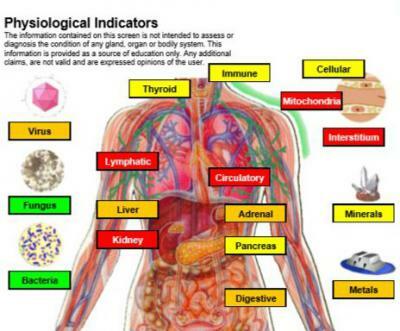 The MAP does not diagnose specific diseases, which are often symptoms of imbalances or deficiencies. It identifies biological markers of disease which are factors of medical conditions. The assessment looks at current biological processes such as oxidative stress, fluid mineralization and pH. These factors influence organ systems and body functions. Deficiencies or imbalances of these factors can adversely influence energy production, cognitive functions, digestion, elimination, free radicals, and nutrient absorption. The MAP differs from conventional medical testing in that it provides a holistic view of your biochemistry and bodily systems. Conventional blood testing provides information only about components being tested. This is important, but neglects creating a whole picture of what is going on with your systemic biochemistry. A blood sample is not needed because of the special software used to create the analysis. This software can produce a reading the biochemical components of resistivity, pH, and rH. pH is a measure of hydrogen ion concentration. This is reflected in the acid-alkaline levels of the body's cells. Too much acidity is a common problem which can cause issues with digestion, nutrient assimilation and mineral balance. Hormone receptor sites, enzyme kinetics and mitochondrial function all depend on pH. Resistivity is a measure of the relative concentration of electrically conductive ions in solution. It is an excellent measure of mineral concentrations. By looking at resistivity, rH and pH, an assessment can be made of detoxification ability, digestive stress, organic buffer capacity, and mitochondrial activity levels. 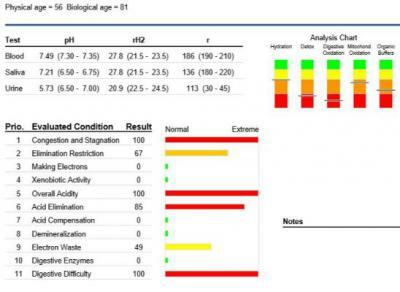 For example, resistivity values and redox levels show how well the digestive system is functioning and subsequently how much energy is made available for affected metabolic processes. The MAP also provides a calculation of your biological age. This number represents how fast your cells are aging compared to your chronological age. It is mostly associated with the the accumulated burden of acidic waste, which causes free radical damage. By calculating how fast cells are regenerating, and to what capacity they are doing so, more specific help can be added to the healing protocol to improve your biological aging marker. Who is the Matrix Assessment Profile For? The MAP is for you if you have been suffering from chronic, acute or low grade symptoms such as fatigue, joint pain, low energy, high blood sugar or blood pressure and inflammation, to name a few. Perhaps you have been to doctors who ran all the standard tests and tell you they can't find anything wrong. The MAP is for you if you want to get to the root of your symptoms and address the cause with natural methods and supplements so you can enjoy better health. You know pharmaceuticals cover up or suppress symptoms, but don’t heal the dis-ease or imbalances in your body. The assessment is also for you if you feel good and want to feel even better. You want to be proactive and optimize your biochemistry so it functions at its best. You want to correct silent imbalances now before they manifest as unpleasant symptoms and diseases later. If you are someone who wants to learn how to get better or stay healthy, watch the informativie MAP webinar here. In this excellent free webinar, Dr. Richard DiCenso talks about the state of medical diagnosing, three biomarkers that can predict where your health is heading, what the "Matrix Assessment Profile" is and how it pinpoints the organ or system causing your condition, and how to get your personalized protocol to rebalance your health. Taking the Matrix Assessment profile is quite easy. There is no need to schedule appointments or travel anywhere. Once you have ordered and received your kit, the first step is to register your kit and read the directions for filling out the questionnaire and taking your samples. (easy). Check with your health insurance company, they will probably pay for the assessment. The second step is to fill out the comprehensive health questionnaire. It took me about 30 minutes to do that. Be thorough because this information will be used along with the MAP analysis to design your individualized healing protocol. The third step is to take your urine and saliva samples. You do this first thing in the morning as soon as you get up, before eating or drinking anything. Full directions are included for how and when to take your samples. Finally, you package up your samples in the mailer and send them on their way. Be sure to follow directions for packaging and mailing. 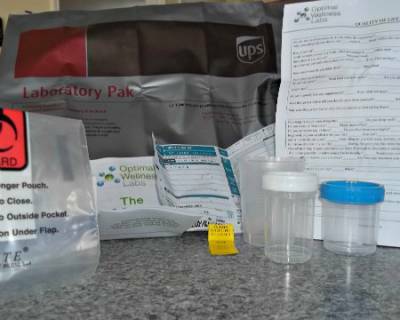 After the lab receives your kit it takes about ten days to two weeks for your results to be posted. While you are waiting for your results, you are invited to take advantage of the resources available to you. You are encouraged to listen to the weekly Ask the Expert calls with Dr.Richard DiCenso, who has over 30 years of experience in orthomolecular nutrition and human biochemistry. I recommend you listen to a few of these calls. It didn’t take listening to more than two calls for me to be quite impressed with his expertise and level of caring for his clients. There is also a 10 day video series about the MAP process and health, and monthly interviews with experts. If you’d like a more personalized experience, you can schedule a paid appointment with Dr. D.
When your results are ready for viewing and printing, you will receive an email. Expect to wait around 10-14 days for your results. You get your personal results and an explanation of what it all means. About a week or so after receiving your MAP, your individualized 12 week healing protocol from Dr. DiCenso will arrive. 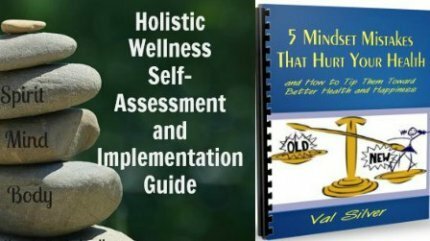 This protocol is designed to help you correct your primary imbalance as identified in the assessment and other concerns expressed in your health questionnaire. Communication and Customer Service during my entire MAP process was excellent. Expect to receive an email every step of the way. If you have questions, you can email or call. I contacted them a few times and always received answers quickly and courteously. Perhaps I should call this section True Confessions. If I were to get no more value from my MAP than the serious wake up call I got, it would still have been well worth it. (Of course I plan to get much more benefit than that by following my protocol). I knew my report wouldn't be glowing. Even though I eat a lot of nutritious food, my carbohydrate/junk food addiction and stress levels were in high gear. Still I didn't expect my results to be quite as cautionary as they were. Here are a few pages from my report so you can see what kind of information the MAP reveals to you about your health. 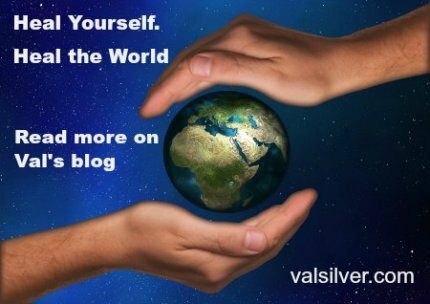 The written report explains what it all means and how to correct your imbalances. Green is good, red is a serious deficiency or imbalance. My MAP indicated that my cells were functioning as if I was 81 years old. Yikes! That’s 25 years older than my biological age. My kidneys, lymphatic system, circulatory system, intertstitium and mitochondria were under stress. The next image you can see that congestion and stagnation is indicated as my body's primary imbalance. It was producing more acidic waste than it could get rid of in a 24 hour period which affects enzyme activity, digestion, elimination and other organs and systems. My pattern reflected a high degree of biochemical stress. My written report stated that our specific healing work would have to do with metabolism, energy, congestion and stagnation. Like I said, wake-up call. During the next week or so of waiting for my detailed plan from Dr. D. I watched the webinar and the videos. I didn’t change my diet, but I knew it was coming. I also knew that a detox diet would probably be recommended, along with several supplements. Sure enough, Dr. thought it best that I go on a 10 day detox diet using the Metagenics Clear Change program before starting the 12 week program that followed it. I ordered the product and began right away. I’m happy to say that the detox diet was easy to follow and not at all unpleasant to be on. I actually enjoyed it. I was allowed to eat all I wanted of the daily permitted foods and the supplemental meal powder kept me full for hours. With the help of that diet I got my eating under control and ended my junk food cravings once again. My 12 week protocol, which I'm still on at the time of this writing, includes 3- four week segments of supplements along with other recommendations. I won’t kid you that the supplementation protocol is cheap. It will have cost me at least a few hundred dollars by the time each phase is completed. Still, that’s a small price to pay for better health and the chance to avoid health problems that could be much more expensive, both in terms of money and quality of life. Progress Update: Eight weeks into the protocol my weight has dropped 12 pounds. I am very careful to primarily eat plant based real food. My home pH testing shows an improvement. I'm sleeping better and the very dark circles under my eyes are barely visible. I am excited to see what results my next MAP shows. That will be the real test. Recommendation: If you are suffering from chronic unresolved health issues or want to preempt possible future health conditions, watch the informative Matrix Assessment Profile webinar with Dr. Richard DiCenso here.